Coolant Filtering System cleans large coolant sumps. Model 6198-110 Chip Trapper(TM) removes solids such as chips, swarf, and shavings out of used coolants and other liquids. 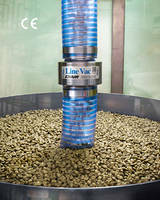 Compressed air-powered unit vacuums dirty coolant or liquid into included 110 gal drum, trapping all solids in reusable filter bag. With one turn of flow valve, clean liquid pumps back out. There are no motors or impellers, and safe operation is ensured via built-in pressure/vacuum relief and automatic safety shutoff. 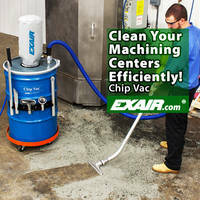 EXAIR's new 110 Gallon Chip Trapper(TM) (patent pending) offers a fast, easy way to clean large coolant sumps. 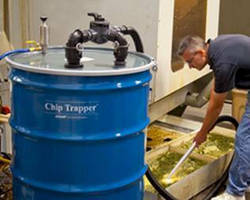 Chip Trapper removes the solids such as chips, swarf and shavings out of used coolants and other liquids. Coolant that used to last only six weeks can now last six months or more. It is ideal for use on machines with sumps, parts washers, tanks and storage containers. Metal chips in a machine sump can block the intake of the coolant pump which reduces the coolant flow and causes heat-related damage to the expensive parts and tooling. Regular cleaning of the sump with a Chip Trapper eliminates this problem, the lost production, and downtime. The compressed air powered Chip Trapper vacuums the dirty coolant or liquid into the included 110 gallon drum, trapping all the solids in a reusable filter bag. With a turn of the flow valve, clean liquid pumps back out. There are no motors or impellers to clog or wear out. 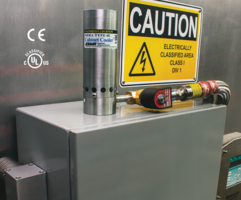 Safe operation is assured with built-in pressure/vacuum relief and an automatic safety shutoff to prevent spills or overfilling. The Model 6198-110 Chip Trapper includes the stainless steel two-way pump, directional flow valve, 110 gallon drum, lever lock drum lid, shutoff valve, 10' vacuum hose, 20' compressed air hose, chip wand, (2) filter bags and a drum dolly. Price is $1,947. 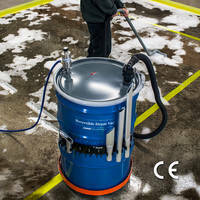 A 55 gallon model and optional Spill Recovery Kit is available. 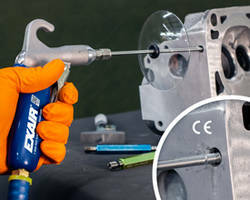 A demonstration video can be viewed at http://www.exair.com/ctvideo.htm.